Ancestrally. 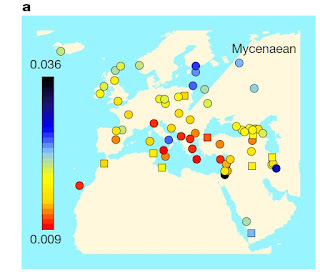 both Mycenaeans and Minoans were basically Mediterranean, well outside the variation of most Europeans and Near Easterners and >75% from early European-Anatolian farmers. 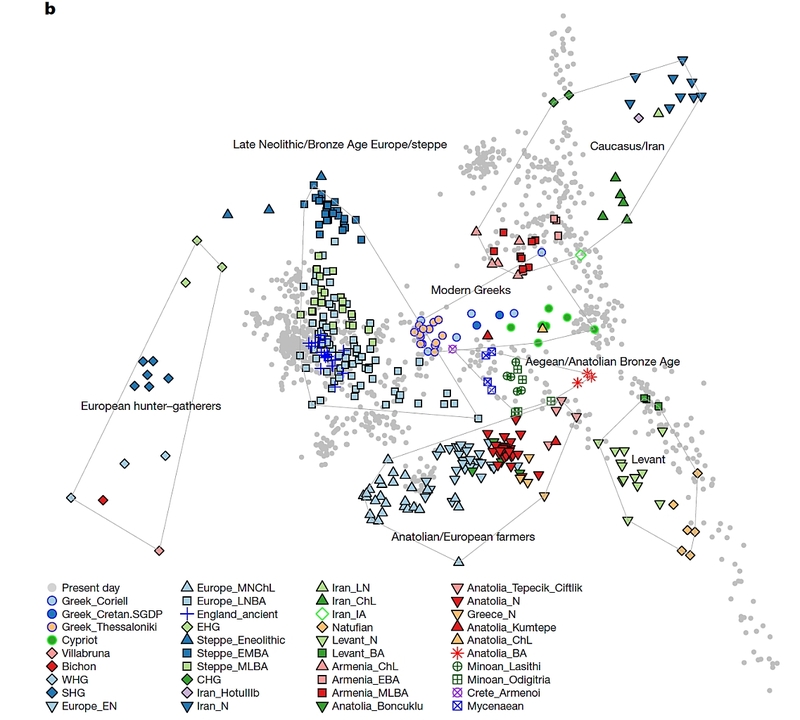 They weren't pure Mediterraneans, but also partly "West_Asian". Bronze Age people from S.W. Anatolia were even more "West_Asian". Mycenaeans also had some "Ancient North Eurasian" ancestry, which may have come from either the north or east of Greece. 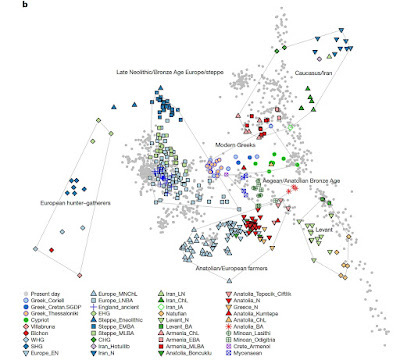 Two Minoans and a Mycenaean were haplogroup J2, one Minoan was G.
One high-status Mycenaean female from Messenia was not different from the other three Mycenaeans.